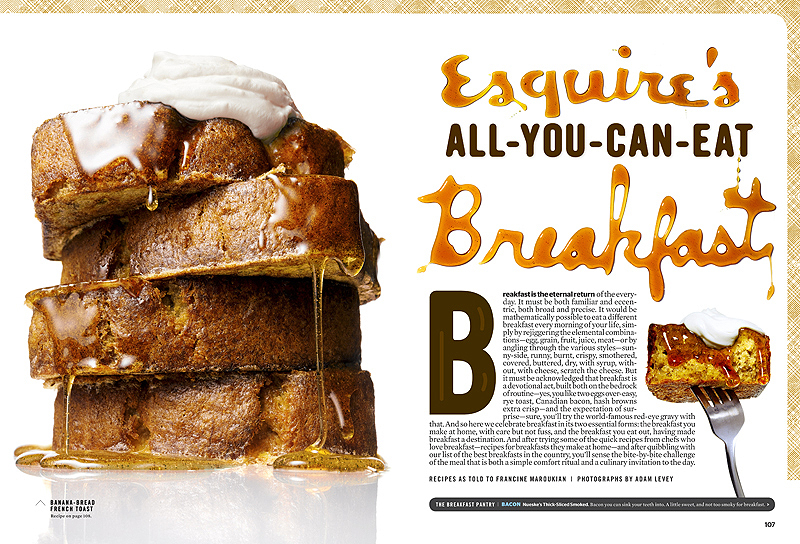 New York graphic designer Erin Jang's post on this series of breakfast spreads for Esquire magazine looked so delicious, I instantly wanted to make breakfast. ...Which I will do after concluding this post. ...Which brings me to my reoccurring hobby and constant delight in making breakfast, eating breakfast, and thinking about whatever else having to do with breakfast (including the entire Joie de Vivre line of egg products, of which Jen and Eric probably own at least half !!). I'm not sure when I first discovered this love, but it is my favorite meal of the day and one of my beloved ways to celebrate the weekend, the end of the term, or just being with friends. Eggs are an essential part of the whole ensemble and a part I think I need to work a bit on in terms of culinary versatility. But why eggs? Although they're said to be a mere baby step in the world of cooking (i.e. "at least he can fry an egg"), take Julia Child for example: her instructor at the Cordon Bleu in Paris made her go through 15+ iterations before declaring she could make a single egg correctly and could move on to omelets (omelettes?). Practice with the simple makes the complex perfect, I suppose. Where are the beans in Beantown?